The following is a photo collage of a few of the stages of Janiece’s life from an innocent child, through the traumas, near to death, and then restoration. The top left photo was Janiece at 20 months old; top middle – in late 1985 after the printing injury and approximately 30 surgeries; top right – with her dog Alteria given to her in the hope it would give her a reason to live; middle left – in November 1990, just 8 months away, merely existing; middle right – Days before our wedding in December 1994; bottom left – November 1995, photo compliments of Paul & Bunty Collins from Australia whose encouragement compelled me to write the first summary of her story for their web site; bottom right – a photo of all three of us. It seems like the book should already be done, but here we are. There are so many stories, so many miracles, so many lives touched and so close of a relationship with the King of kings. Our plan is to have it in print in September. In the meantime, we are also available to share her story with others as the Lord directs. Just use our contact page to reach us. For now, we have the blog and will be updating as we progress more with the writing. If you have something to add, please feel free to comment or use the contact form. If you have someone who can benefit from this information, please feel free to direct them to this section of the blog if necessary to get more of an overview. May the Lord bless you, may He make His face shine upon you and give you His peace. He is no respecter of persons. What He has done for one, He desires to do for all. Don’t ever give up. There is something wonderful waiting for you. He has a destiny planned for you, but it is up to you to decide to take it. You have to trust Him, that His plans for you started from the love in His heart towards you as He created you to be the unique individual you are. There is no one else like you and that is a good thing. I am planning to post a weekly update on our progress. It is our hope that you may be blessed by what you read and know that no matter what happens in your life, there is a way through. Psalm 23:4&5,”Though I walk through the valley of the shadow of death…” You don’t have to stay there. There is a table of His goodness that has already been prepared for you just waiting for you to partake, to refresh you as you walk. Don’t enter the valleys of your life without knowing that there are rewards up ahead if you just keep going. 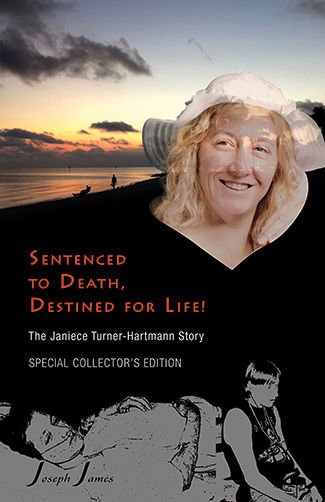 Janiece is available to share her story, as the Lord directs with groups and families. If you would like to contact us in regards to booking, please use the Contact Form on this website and include any necessary information so that we will be able to respond to you. If you know Janiece, and have a story to add or a comment, please do so in the comment area or use the Contact Form. 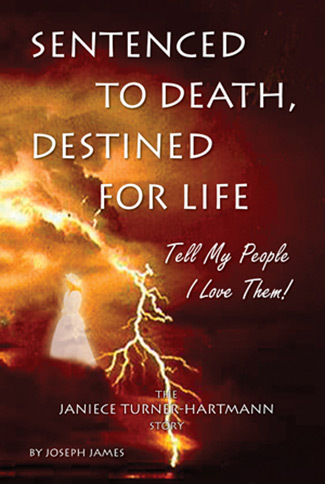 It is our hope and desire that this book inspires many to dare to search beyond their opinions and beliefs and start the journey of a life changing adventure with their loving, heavenly Father.